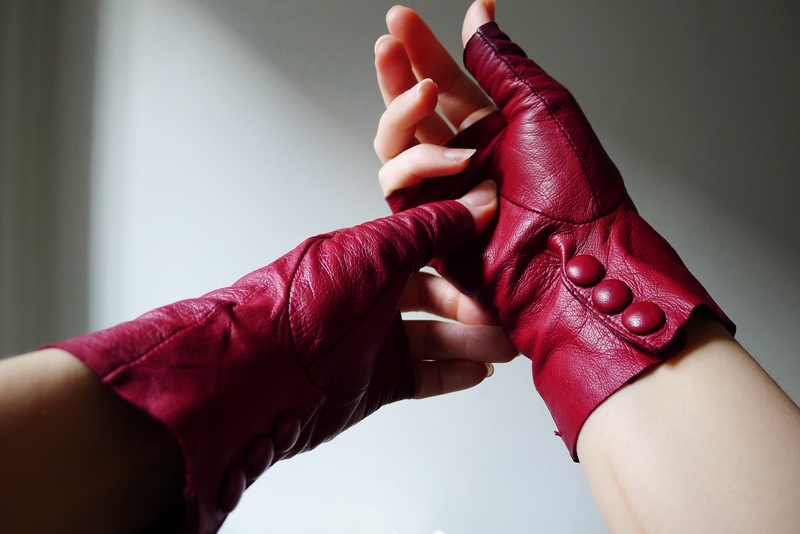 I bought these red leather gloves by Imoni at last year’s Intermix Christmas sale, in order to match my New Year’s dress (the open-backed merlot red gown you see here). My hypotheses that both the gloves and the gown would prove themselves as worthwhile investment pieces seems to be holding up quite admirably this fall, as both red and leather have been all over the runway reports and are, it would seem, right on-trend. I always make a preliminary sweep of available retail when we hit a new seasonal shift. Before I buy, I assess what themes I like or dislike, make note of certain items I want. Then I go home, open up the closet, and take stock. Decide what to subtract (this year, I will also have to remember what I’ve got in storage), and determine how to wear the remainder. Ultimately, I am guiding my arrow – myself – towards the target, the person I wish to become. Besides, they’ve got Barneys and Saks down there, and that giant new Zara. And what better setting for a forecast than Madison Avenue? So I made my trek down to Midtown. I took stock of all the shops. And I noticed, – simply but with a surging well of realization – that the color red was everywhere. In every shop in Manhattan. And that not only was it plentiful, that it was the thing. The thing that looks and feels the best, now. This was very exciting, especially in the wake of the personality crisis that invariably is (for me) “summer dressing;” at long last, with a stroke of Prometheal light I once again understood what was going on in the current, and that what was going on in the current was something that I wanted to be. All I knew was that I wanted something red. Because – gazing stupidly at a rack of Lanvins at Barneys – I understood that red was and is not simply a “trend” this year, or even a color; rather, it is a frequency. A sine of the times. There’s a warmth and a sensuousness and a passionate, terrible magnitude to it all that I think we now collectively crave, and need. This is how they get me to buy things. Fascists. Anyway. I went home empty-handed, disgruntled at the fact that I am too broke this season to risk any big-ticket impulse purchases (though those are the only purchases I’m interested in making anymore, impulse or otherwise; I already own, as it were, plenty of “filler”). Several weeks (and one red pleather dress) later, I remembered my pair of Imonis. I dug them out, put them on. They felt correct. I had aimed well, with my shooting gloves: I’d invested wisely. Already I am making a mental portfolio of red-gloved F/W outfits. Including nothing, as the case may be. 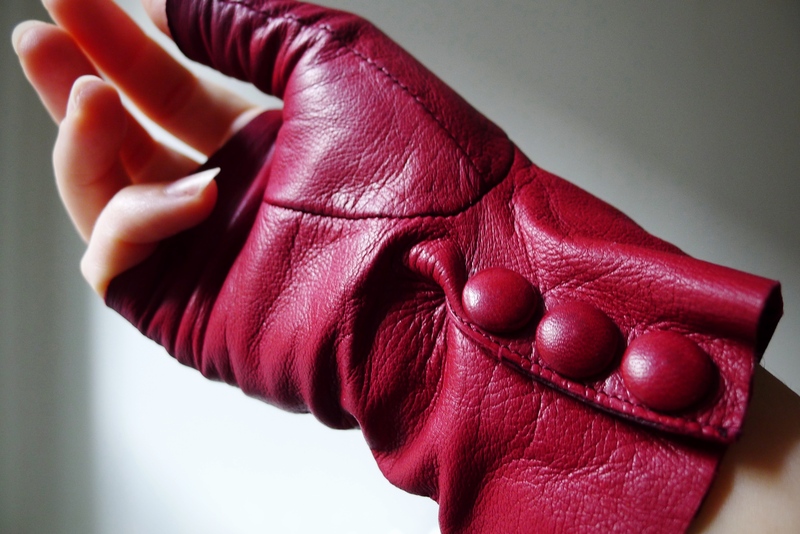 This entry was posted in Accessories, Photo, Style and tagged Color, F/W, Gloves, Imoni, Leather, New York, Red, Trends. Bookmark the permalink.